The Aerocool Shark 120mm Red Edition Fan comes with a Voltage reduction cable to allow operation @ 7V without a controller or external device. 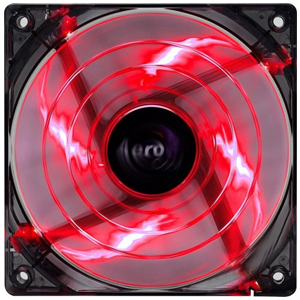 This allows a range of specs to be achieved with just one fan. The 15 blade design allows for higher air pressure and air flow! All the cables for the Aerocool Shark 120mm Red Edition Fan are factory sleeved in black.